^ a b c d e Oskoui, M; Coutinho, F; Dykeman, J; Jetté, N; Pringsheim, T (June 2013). "An update on the prevalence of cerebral palsy: a systematic review and meta-analysis". Developmental Medicine & Child Neurology. 55 (6): 509–19. doi:10.1111/dmcn.12080. PMID 23346889. ^ a b c d e f g h i Panteliadis, C; Panteliadis, P; Vassilyadi, F (April 2013). "Hallmarks in the history of cerebral palsy: from antiquity to mid-20th century". Brain & Development. 35 (4): 285–92. doi:10.1016/j.braindev.2012.05.003. PMID 22658818. ^ a b c d Robin C. Meyers; Steven J. Bachrach; Virginia A. Stallings (2017). "Cerebral Palsy". In Shirley W. Ekvall; Valli K. Ekvall (eds.). Pediatric and Adult Nutrition in Chronic Diseases, Developmental Disabilities, and Hereditary Metabolic Disorders: Prevention, Assessment, and Treatment. Oxford Scholarship Online. doi:10.1093/acprof:oso/9780199398911.003.0009. ISBN 9780199398911. Archived from the original on 1 August 2017. Retrieved 1 August 2017. ^ "Women's Health Initiative - Cerebral Palsy Foundation". Cerebral Palsy Foundation. 10 July 2015. Archived from the original on 24 December 2016. Retrieved 23 December 2016. ^ Saunders, NR; Hellmann, J; Farine, D (October 2011). "Cerebral palsy and assisted conception". Journal of Obstetrics and Gynaecology Canada. 33 (10): 1038–43. doi:10.1016/s1701-2163(16)35053-8. PMID 22014781. ^ Hallman, M (April 2012). "Premature birth and diseases in premature infants: common genetic background?". The Journal of Maternal-Fetal & Neonatal Medicine. 25 Suppl 1: 21–4. doi:10.3109/14767058.2012.667600. PMID 22385349. ^ Poets, CF; Wallwiener, D; Vetter, K (October 2012). "Risks associated with delivering infants 2 to 6 weeks before term--a review of recent data". Deutsches Arzteblatt International. 109 (43): 721–6. doi:10.3238/arztebl.2012.0721. PMC 3498472. PMID 23181136. ^ McIntyre, S; Taitz, D; Keogh, J; Goldsmith, S; Badawi, N; Blair, E (June 2013). "A systematic review of risk factors for cerebral palsy in children born at term in developed countries". Developmental Medicine & Child Neurology. 55 (6): 499–508. doi:10.1111/dmcn.12017. PMID 23181910. ^ Ellenberg, JH; Nelson, KB (March 2013). "The association of cerebral palsy with birth asphyxia: a definitional quagmire". Developmental Medicine & Child Neurology. 55 (3): 210–6. doi:10.1111/dmcn.12016. PMID 23121164. ^ Teng, J; Chang, T; Reyes, C; Nelson, KB (October 2012). "Placental weight and neurologic outcome in the infant: a review". The Journal of Maternal-Fetal & Neonatal Medicine. 25 (10): 2082–7. doi:10.3109/14767058.2012.671871. PMID 22394270. 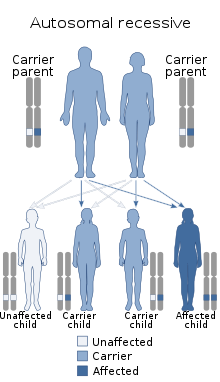 ^ a b "Cerebral Palsy | NCBDDD | CDC". Cerebral Palsy Home | NCBDDD | CDC. Archived from the original on 21 April 2017. Retrieved 20 April 2017. ^ Kieffer, Sara. "Cerebral Palsy | Johns Hopkins Pediatric Neurosurgery". Archived from the original on 30 September 2015. Retrieved 18 September 2015. ^ "Infection in the Newborn as a Cause of Cerebral Palsy, 12/2004". United Cerebral Palsy Research and Education Foundation (U.S.). Archived from the original on 29 July 2007. Retrieved 5 July 2007. ^ Bersani, I; Thomas, W; Speer, CP (April 2012). "Chorioamnionitis--the good or the evil for neonatal outcome?". The Journal of Maternal-Fetal & Neonatal Medicine. 25 Suppl 1: 12–6. doi:10.3109/14767058.2012.663161. PMID 22309119. ^ Mwaniki, MK; Atieno, M; Lawn, JE; Newton, CR (4 February 2012). "Long-term neurodevelopmental outcomes after intrauterine and neonatal insults: a systematic review". The Lancet. 379 (9814): 445–52. doi:10.1016/s0140-6736(11)61577-8. PMC 3273721. PMID 22244654. ^ a b McIntyre, S; Morgan, C; Walker, K; Novak, I (November 2011). "Cerebral palsy--don't delay". Developmental Disabilities Research Reviews. 17 (2): 114–29. doi:10.1002/ddrr.1106. PMID 23362031. ^ a b c Rethlefsen, SA. ; Ryan, DD. ; Kay, RM. (October 2010). "Classification systems in cerebral palsy". Orthop Clin North Am. 41 (4): 457–67. doi:10.1016/j.ocl.2010.06.005. PMID 20868878. ^ Nguyen, TM; Crowther, CA; Wilkinson, D; Bain, E (28 February 2013). "Magnesium sulphate for women at term for neuroprotection of the fetus". The Cochrane Database of Systematic Reviews. 2 (2): CD009395. doi:10.1002/14651858.cd009395.pub2. PMID 23450601. ^ Jacobs, SE; Berg, M; Hunt, R; Tarnow-Mordi, WO; Inder, TE; Davis, PG (31 January 2013). "Cooling for newborns with hypoxic ischaemic encephalopathy". The Cochrane Database of Systematic Reviews. 1 (1): CD003311. doi:10.1002/14651858.CD003311.pub3. PMID 23440789. ^ McGinley, Jennifer L.; Pogrebnoy, Dina; Morgan, Prue (2014). "Mobility in Ambulant Adults with Cerebral Palsy — Challenges for the Future". In Švraka, Emira (ed.). Cerebral Palsy - Challenges for the Future. doi:10.5772/58344. ISBN 978-953-51-1234-1. ^ a b Kent, Ruth M. (2012). "Cerebral palsy". In Barnes, Michael; Good, David (eds.). Neurological Rehabilitation Handbook of Clinical Neurology. Oxford: Elsevier Science. pp. 443–459. ISBN 9780444595843. ^ Parham, LD; Primeau, LA (2008). "Play and occupational therapy". In Parham, LD; Fazio, LS (eds.). Play in occupational therapy for children (2nd ed.). St. Louis, Mo. : Mosby Elsevier. ISBN 978-0-323-02954-4. Archived from the original on 15 April 2015. ^ Centers for Disease Control and Prevention (CDC) (2004). "Economic costs associated with mental retardation, cerebral palsy, hearing loss, and vision impairment—United States, 2003". Morbidity and Mortality Weekly Report. 53 (3): 57–9. PMID 14749614. Archived from the original on 19 September 2007. Retrieved 12 August 2007. ^ "Medicaid.gov: Self Directed Services". Medicaid. Archived from the original on 19 June 2017. Retrieved 19 June 2017. ^ "Cerebral Palsy: a Guide for Care". Archived from the original on 17 July 2007. Retrieved 29 July 2007. ^ Zimmer, Benjamin (5 February 2007). "A brief history of "spaz"". Language Log. University of Pennsylvania. Archived from the original on 9 August 2007. Retrieved 29 July 2007. ^ "Being on Call the Midwife gave me the sense of being an actor in my own right". 16 February 2014. Archived from the original on 5 September 2015. Retrieved 12 August 2015. ^ "Josh Blue wins "Last Comic Standing"". Archived from the original on 28 June 2010. Retrieved 6 December 2010. ^ ""Last Comic Standing" biography". Archived from the original on 13 September 2010. Retrieved 6 December 2010. ^ "HarperCollins Publishers India Ltd". Archived from the original on 11 June 2011. ^ IMEU (18 October 2013). "Maysoon Zayid: Actor and Comedian". Institute for Middle East Understanding. Archived from the original on 23 December 2016. Retrieved 8 December 2016.